Windows Braid (World) in 22:15.28 by keylie. Braid is a famous indie platform game with some unique puzzlework. It was originally released on Xbox Live Arcade before being ported to other platforms. A major feature of the game is the player's unlimited ability to reverse time and "rewind" actions, even after dying. The game itself was intended to be an artful deconstruction of traditional video game concepts. Many tricks are used to complete the speedrun mode in an astounding 20:11.17 according to the internal timer; see the author's comments for more information. If you understand French pretty well, you may be interested in watching the special episode of Speed Game, featuring commentary from Coeurdevandale and the author of this TAS, keylie. The tricks used are also explained there. Windows Cave Story (JPN 1.0.0.6) "best ending" in 50:10.3 by nitsuja. Cave Story (2004) is a famous freeware indie game notable for being made entirely by one person, Daisuke "Pixel" Amaya. Watch as nitsuja completely destroys this difficult game with amazingly precise movement. This playthrough saves Curly and finishes with the best ending after beating Ballos. The program used to make this run, Hourglass, was also developed by nitsuja—with the creation of this run in mind. As such, it is our first published run of a Windows game. Downloadable encodes and the YouTube encode include commentary as soft subtitles. Windows Eryi's Action (JPN v1.0) in 10:18.0 by Bernka. Eryi's Action is a sidescrolling platformer where Eryi must charge through a series of devious traps and enemies in order to stop Farta and recover her melon. There are so many of these traps, in fact, that the developers designated the game a "trapformer". In many cases, the most obvious path through an area does not work, and only clever thinking or trial-and-error will allow Eryi to proceed safely. 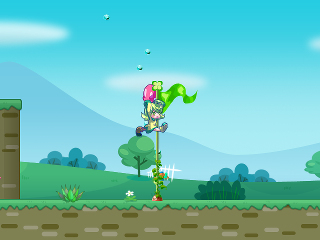 Aside from the traps, the game is designed to be very similar to Super Mario Bros.: enemies are defeated by being jumped upon, a flagpole must be reached at the end of each stage, and there are even mushrooms (which can be used as trampolines). 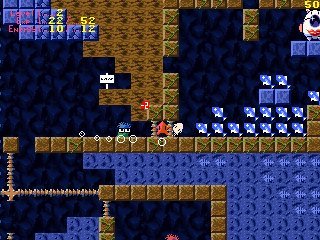 In this run, Bernka uses tool assistance to barely steer Eryi away from many traps and even fool several others, chaining mushroom and enemy jumps and moving precisely to beat the game in the fastest time possible. For a movie of a similar but much less polished game, see the Syobon Action TAS. Windows Eversion (USA) "best ending" in 03:52.58 by Bernka. Despite not collecting all the gems, this run by Bernka achieves the good ending by using a glitch to trick the game into unlocking Level 8 with minimum gems. Windows Hyper Princess Pitch "Reallyjoel's Mom difficulty, best ending" in 15:40.48 by Tseralith. The good Mecha Santa plans to spread happiness and cheer all over the world. Princess Pitch, previously a sidekick in the game Garden Gnome Carnage, sets out to put an end to those silly plans. This time around, Princess Pitch decides to take on Mecha Santa and his army of robot elves on a difficulty harder than the hardest (Reallyjoel's Mom), since it's too easy otherwise. Reallyjoel's Mom is a secret joke difficulty meant to be impossible: it multiplies the spawn and attack rate of all enemies several times over and removes all powerups and ammo refills. Consequently, a player without tool assistance will maybe beat one room - if s/he's lucky. This TAS gets through with liberal use of the piledriver move, as well as precise movement and shooting. Windows Iji (1.6) "Ultimortal difficulty, no damage" in 41:25.4 by Matslo123. 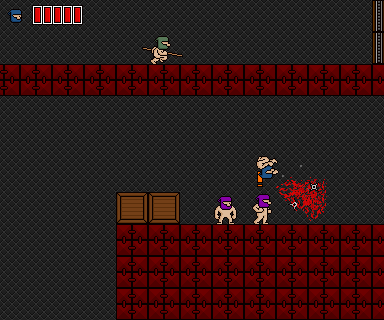 Iji is a freeware game released by Daniel Remar in 2008. Quoting his website, where the game can be downloaded: "Iji is an action-packed strategic platform shooter with a detailed story, large levels with multiple paths, powerful bosses and lots of secrets. There are alternate gameplay events, dialogues and scenes depending on what you do, a wealth of extras and bonus features, and seven stats to upgrade through a leveling system. 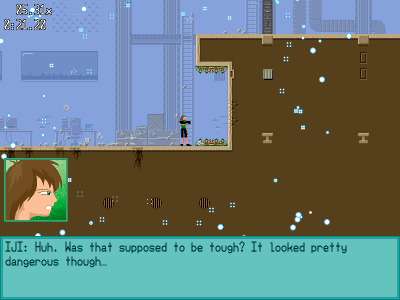 Iji herself has superhuman strength and abilities, and can crack Nanotechnology, use her enemies' most devastating weapons against them, and be a pacifist or a killer - the story adapts to how you play." This time, Matslo123 plays through the Ultimortal difficulty, which gets unlocked after clearing Expert difficulty, whilst not taking damage in the process in record time. Windows Iji (1.6) in 27:41.87 by Matslo123. Matslo123 clears the game in record time. Windows Ikachan (JPN v1.0) "warp glitch" in 03:31.56 by arandomgameTASer. 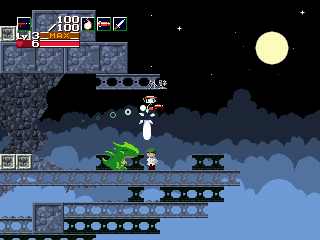 Ikachan is a game created by Pixel during the development of Cave Story. You control a squid who needs to help the sea creatures who have been trapped in a cavern. Fortunately, Ikachan befriends a magical Attack Star that allows him to just simply leave and abandon those losers. Windows MegaMari: Marisa no Yabou (JPN) in 32:49.12 by cstrakm. MegaMari (MegaMari -魔理沙の野望-) is a very difficult Touhou clone of Mega Man 2. The game features the ability to switch between two characters whose weapons are tracked separately, giving it a surprising level of depth. 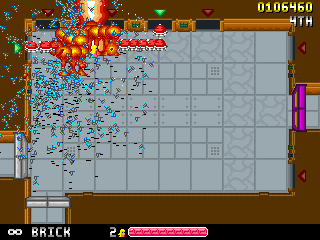 In this movie, cstrakm braves the bullet hell head-on and lives to tell the tale. Reading the author's comments is highly recommended. Windows Nikujin (JPN v1.12) in 02:53.72 by BrotherMojo. 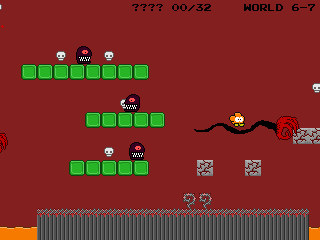 Nikujin (にくじん) is a curious platformer by an independent developer known as Ikiki. It's very short, very hard, and everyone is naked. Well, they're still wearing their ninja masks, anyway. The author puts this naked ninja through his paces, beating the entire game in under 3 minutes. Many advanced super-precision techniques are used to control the character effectively; reading the author's comments is recommended. Windows Psycho Waluigi (freeware) in 47:43.0 by sack_bot. Psycho Waluigi is a Mario fangame by Thunder Dragon that stars not Mario but Waluigi, perhaps the most underrepresented playable character in the Mario franchise. After suffering a massive bump to the head, Waluigi wakes up in the unfamiliar land of Unconcia, only to discover that he now has psychic powers! In true villain fashion, he decides to use his new abilities to take over this strange new land, one kingdom at a time. Using the Psycho Iris, he can pick up objects and throw them at enemies or mind control an enemy to shoot at other foes. 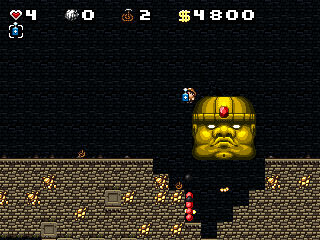 He can also collect coins and valuable jewels along the way to trade for powerups like a double jump and accessories like a shiny gold crown. This tool-assisted run by sack_bot features precise jumping and a glitch that allows Waluigi to clip into walls. Windows Rosenkreuzstilette "Grolla" in 25:28.53 by Hetfield90. 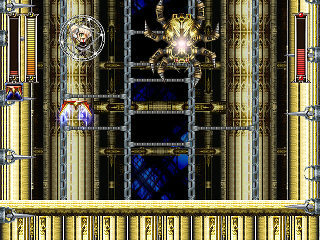 Rosenkreuzstilette (ローゼンクロイツスティレッテ) is a platform game published by independent Japanese studio [erka:es]. Gameplay resembles a Mega Man clone, with Spiritia collecting various weapons from each boss defeated, and alternate protagonist Grolla playing more like Zero from the Mega Man X and Mega Man Zero series. See how many things from different Mega Man games you can spot while watching this! Stage by stage notes are in the author's comments. This run is a 22 second improvement over the previous movie by Bernka thanks to better optimization. This movie uses Grolla. For more action, we also have a Spiritia movie by the same author. Windows Rosenkreuzstilette (JPN 1.05c) "Spiritia" in 28:01.15 by Hetfield90. This movie uses Spiritia. For more action, we also have a Grolla movie by the same author. It is 57.34 seconds faster than the previous run by in-game timing parameters, and an improvement of 1087 frames(18.1s) through directly comparable improvements. (Note that the reason why this run appears to be 3s slower than the old run by standard TAS timing parameters is because the published run ends input before the final boss fight whereas this one does not, since doing so is detrimental to in-game time). Windows Spelunky (any v1.1) in 01:54.03 by Tseralith. Spelunky is a cave exploration / treasure-hunting game inspired by classic platform games and rogue-likes, where the goal is to grab as much treasure from the cave as possible. Every time you play the cave's layout is supposed to be different, but now the Spelunker guy decides to make sure the cave is in his favor by finding everything he needs in no time before zipping his way to the end. This run aims to reach and defeat the final boss as fast as possible by (ab)using the unpredictable teleporter and a generous supply of bombs. Windows Spyman (JPN) in 01:14.36 by nitrogenesis. 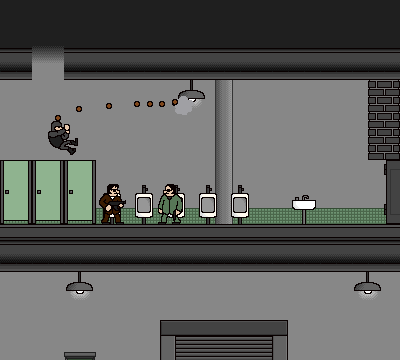 Spyman (スパイマン) is a short platform game by independent developer Ikiki. You play as a spy, and infiltrate a facility populated with standard Bad Guys, complete with sunglasses and guns. Despite its short length, there is quite a bit of room for neat tricks and shortcuts, most of which are detailed here. You can also watch a TAS of another game by the same developer: Nikujin. Windows Syobon Action (JPN) "World 2" in 02:10.7 by Happy_mario & Tehh_083. 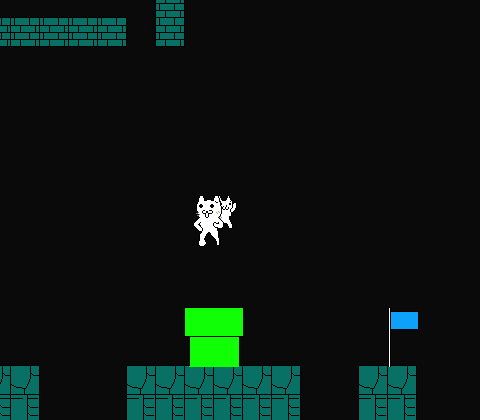 Also known as Cat Mario, Syobon Action is an extremely difficult (to an uninitiated) Mario-clone platformer that usually takes many tries to complete. This run aims to beat the second World in the fastest possible time. Windows Syobon Action (JPN) in 01:49.63 by Happy_mario & Tehh_083. 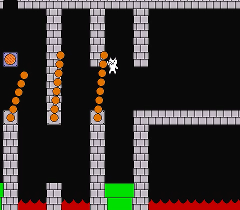 Syobon Action, also known as "Cat Mario", is an extremely difficult Mario-clone platformer that usually takes many tries to complete. In this run, happy_mario and TEHH_083 aim to complete the game as fast as possible — and even faster than before, improving the previous run of this game by two seconds. Windows Touhou Kanjuden ~ Legacy of Lunatic Kingdom (JPN) "Extra Stage, maximum score" in 27:54.22 by kopiapoa. Touhou Kanjuden ~ Legacy of Lunatic Kingdom (東方紺珠伝　～ Legacy of Lunatic Kingdom) is the fifteenth official installment of the Touhou Project series by Team Shanghai Alice. 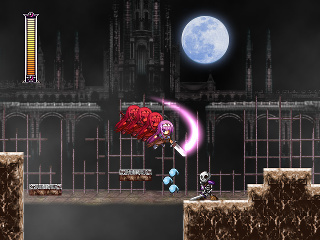 There are four playable characters: Reimu Hakurei, Marisa Kirisame, Sanae Kochiya, and Reisen Udongein Inaba, each with their unique shot and spellcard (otherwise known as a "bomb" in other (bullet hell) shoot-em-ups). It also features two main game modes: Legacy Mode, which functions similarly to the other Touhou games, but also Pointdevice Mode, a gameplay mode that removes lives and continues from the game but adds chapter checkpoints. The story of the main game goes as follows: Someone is causing havoc in the Lunar Capital, and evidently, Lunarians have come to purify Gensokyo to make it suitable for them to live there (as they have a thing against what they consider "impurity"). With the help of the Ultramarine Orb Elixir (or not), the girls must now set out to stop this invasion and find the perpetrator behind this incident. 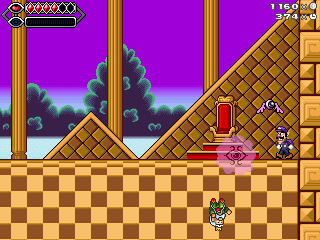 This run by kopiapoa plays the Extra Stage, which is unlocked by clearing the game on Legacy Mode without using any continues on any difficulty, as Reisen. He extensively grazes bullets in order to increase the point item value to its eventual maximum. 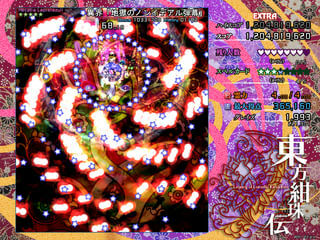 By also milking the boss's attack patterns for score, he reaches an impressive final score of 2'429'908'660 points. For reference, the best known unassisted score is 1'016'971'530 points by kisara. A replay of the record can be downloaded right here. 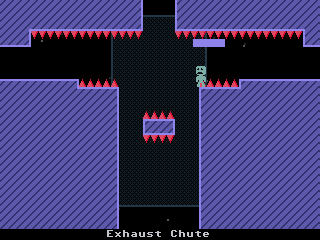 Windows VVVVVV (2.0) "20 trinkets, no death mode" in 17:33.77 by Masterjun. 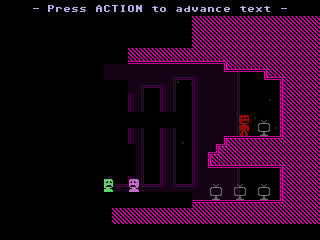 In VVVVVV, the player controls Captain Viridian, who is lost in an alternate dimension, in search of the missing members of the spaceship's crew. 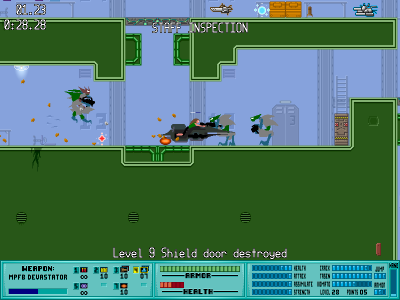 Instead of jumping, the player is able to control the direction of gravity, allowing Captain Viridian to flip between the floors and ceilings of the environment. The graphical style of the game is heavily influenced by the Commodore 64. In the spirit of the retro games' secret hunt, 20 aptly named Shiny Trinkets are hidden throughout the game. The author makes sure to collect all of them in his movie. Additionally, this TAS is completed on the game's no-death mode, which removes all the cutscenes and dialogues, as well as allows collecting a specific Trinket without having to die. Dying once on this mode prompts an instant game over, making it an especially brutal challenge in unassisted conditions. As this naturally prohibits the skips and glitches that abuse forcible deaths, it allows the audience to see the game in its entirety and, indeed, enjoy its level design and excellent chiptune-style soundtrack. If you would like to see the game completed with no holds barred, make sure to check out the glitched any% and the game end glitch TASes that complete the game a lot quicker than one would have imagined! Windows VVVVVV (2.0) in 08:45.87 by Scepheo. In this run, Scepheo blazes to the ending in less than 9 minutes (7:55 according to the in-game timer), skips the fearsome Gravitron, and rescues the crew in a fraction of the length of the ship's regulated lunch break. Scepheo also improves Masterjun's previous run by over 4 and a half minutes through a new route and a new glitch that allows the captain to be flung out of a teleporter into a wall. For more information, see the author's comments. This run avoids using glitches that require pressing the Escape key. There is also a run that uses these glitches to beat the game even faster. Windows VVVVVV (2.0) "game end glitch" in 00:45.33 by Masterjun. 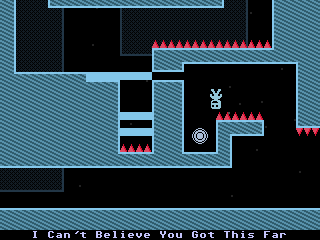 In VVVVVV, the player controls Captain Viridian, who is lost in an alternate dimension, in search of the missing members of the spaceship's crew. Instead of jumping, the player is able to control the direction of gravity, allowing the captain to flip between the floors and ceilings of the environment. The graphical style of the game is heavily influenced by the Commodore 64. This movie by Masterjun utilizes a glitch that increments the current game state to trick the game into warping to the end cutscene. The glitch is triggered by pressing the Escape key to bring up the quit prompt while a dialog box is onscreen. Masterjun also improves the previous run by 0.30 seconds by using general optimizations in movement and key-presses. See the submission comments for more details. 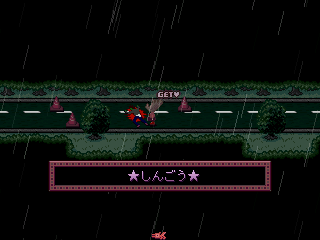 There is also a run in which the game is played more as intended. Windows Yume Nikki (JPN v0.10) in 10:00.37 by poco_cpp. Yume Nikki (ゆめにっき, lit. Dream Diary) is a surrealistic adventure game by indie Japanese developer Kikiyama. The game was created using RPG Maker 2003, but has few role-playing game (RPG) elements. Players explore the dreams of a hikikomori character named Madotsuki (窓付き, lit. windowed). The initial version of the game was released on June 26, 2004, with subsequent updates over time, the last occurring in 2007. This run by poco_cpp extensively utilizes a glitch involving a desk chair to allow Madotsuki to move at 8X her normal speed, allowing the 24 effects to be collected in record time.